"Because it’s a trash bag, it tackles the issue of consumption and waste,"
"to provoke in a positive manner, rather than critique or twist things around in an apocalyptic fashion." 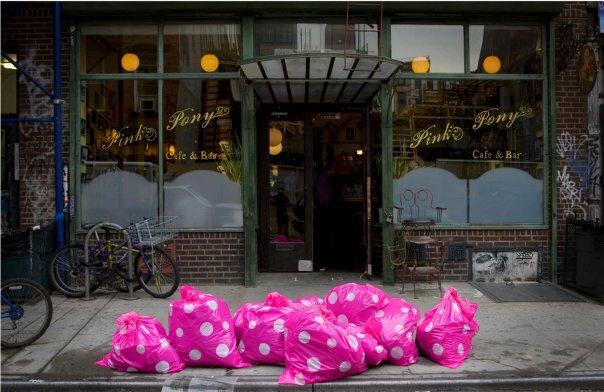 "In America, we have serious issues with our trash,"
"The pink bags remind people when you’re throwing something away to take a second look and think if you can reuse it." 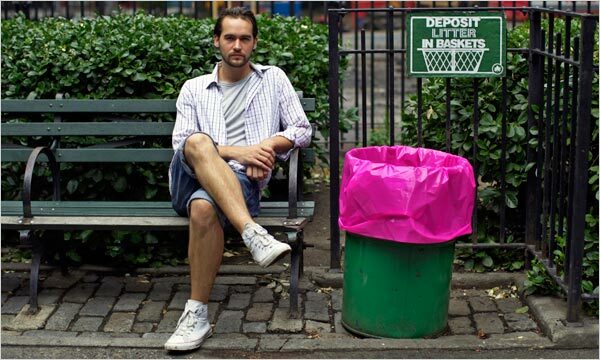 "It’s such a relevant statement today, and also a funny joke,"
"Our trash is our art. Well, now our art is our trash."